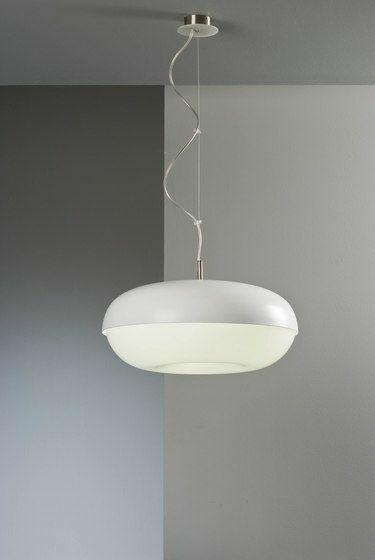 The brand new 'punch' pendant produces an agreeably soft glow of ambient lighting. However, its design is exceptionally organic. The shape of the diffuser reminds us of a vortex which seems to be drawn inside out by the suspension cable. The glossy finish of both the diffuser and the shell add up to this organic look, a touch of luxury - making 'punch' a desirable object for both contemporary and classic interiors. Ø 46 cm / 18” H 30 cm / 11 3⁄4” Lámpara/Bulb: 3 x E27 Dulux Star Microtwist 11W (Save energy).